Blog > Backyard photography > Hoodies Back in the Neighborhood! Hoodies Back in the Neighborhood! 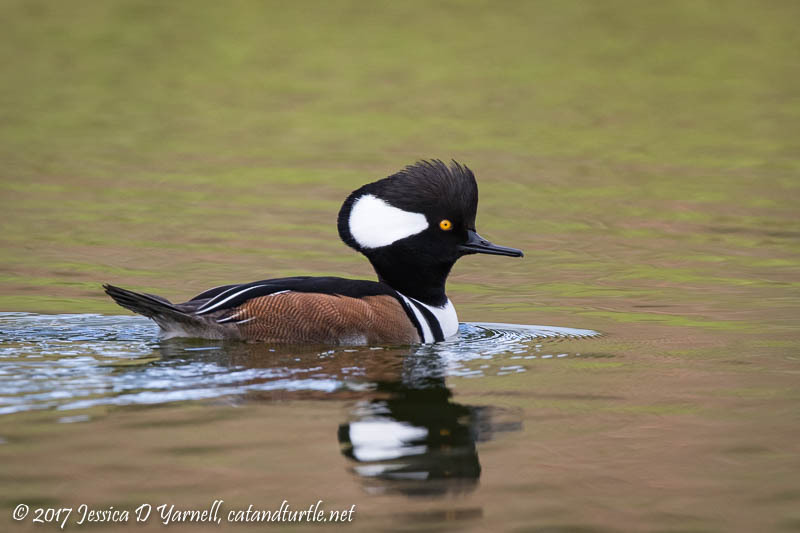 You know it’s winter in Florida when the Hooded Mergansers re-appear in neighborhood retention ponds. 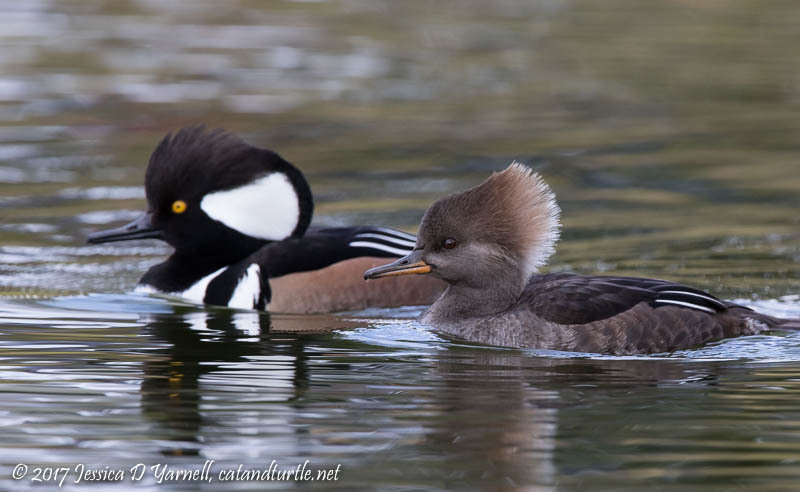 I love watching these little ducks, whose diving and bobbing habits always make me chuckle. They pull acorns from the water and swallow them whole. On this afternoon when I visited, the whole flock was floating lazily on the water. Not eating, not diving, not wing-flapping, just chilling. They are used to presence of people in this location, so they didn’t spook when I walked up. The male hoodies are the most striking. When they get excited, they fluff up the feathers on the back of their necks into a “hood” like the bird above. Male hoodies also tend to be an exposure challenge for photographers – it’s tricky to get detail in both the blacks and the whites on these birds! The female hoodies are brown. They are pretty in their own right, especially when the sun hits them and their feathers glisten. But on this particular day, like almost all the days of my winter break, it was gray and cloudy outside. It was a quick visit. But it’s always fun to say hello to our winter birds, even when I just have a few minutes to visit with them. I’m sure I’ll be back before they leave.